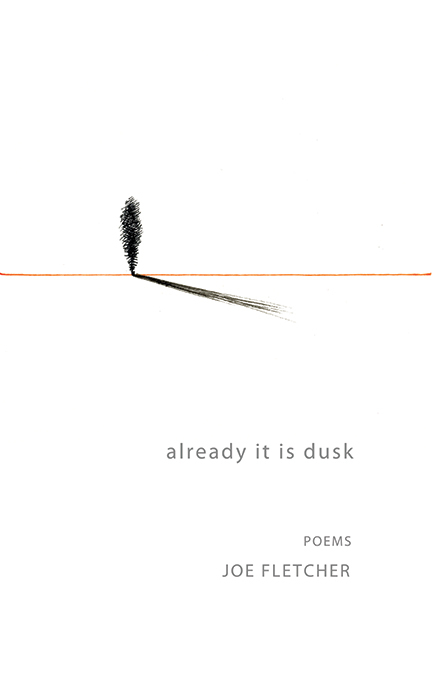 The voices comprising Joe Fletcher’s chapbook Already It Is Dusk speak under the fear of death. They are wanderers, renegades, shifty-eyed and quick-minded, brains troubled to near muteness by the blank dumb animal suffering of the worlds they inhabit. And though wounded, weirded-out and often wasted, they move on, must so, through the thickets and spur banks, the bars and mill towns and murmuring forests and chaparral dust, as our guides, the unlucky patron saints of What-Goes-Down. Already It Is Dusk is a theater of leather and mud, a vision of struggle and courage and failure written with lyrical eloquence and a dark matter-of-factness. Onstage, muffled cries arise from beyond the red curtain. A priest slurs through an opening prayer. A robed figure trims the gaslight. And you are suddenly alone. Cover Art by Aaron Sing Fox. Photo by Jeremy M. Lange. Joe Fletcher’s world is so rich in language and dense in experience, I wonder where it all comes from. He seems to have lived a thousand lives, each deep in feeling and insight. These are authentic adventures no matter where they take place, and each one brings us closer to the truth. What joy they bring to the reader who loves words and is willing to let go for the ride. 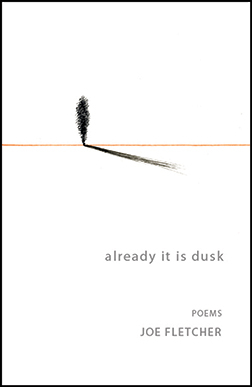 Powerful, fully-realized complications, by which I mean accurate demonstrations of the twists and turns a human mind can take, of the serious dark deep dangerous and beautiful kind, that’s what Already It Is Dusk is. When Joe Fletcher asks, ‘What helps?’, it’s not a rhetorical question. In his poems he never stops searching for what might help us. Consolation, contradiction, awe, punishment, banishment, abandon, love, ache, hope, and fate intertwine and expose our humanity. This poetry is never slight, often nearly fatal. And it sounds so good. The poems in Joe Fletcher’s Already It Is Dusk have a dark and old-world feel to them that I love. It is a time when men carry ropes of jerky; a time when cows ride on ships and the children’s heads are dented by doctors’ tongs. ‘Don’t go too near yourself,’ we are warned. ‘You are not who you say you are.’ This is the voice of our guide. And he has his gloved hand on your shoulder. 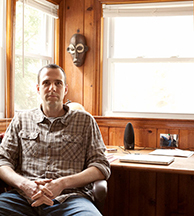 Joe Fletcher is the author of the chapbook, Sleigh Ride, published by Factory Hollow Press. Other work of his can be found at jubilat, Octopus, Slope, Hoboeye, Poetry International, Hollins Critic, MoonLit, and elsewhere. He lives in Carrboro, NC. Visit him at his website: www.joefletcherpoetry.com. PDF of 5 poems by Joe Fletcher. Pork & Poetry – Joe Fletcher, Bianca Stone & Ana Božičević from Mount Tremper Arts on Vimeo.